HOOK And EYE Cloak Clasp Gunmetal Fasteners. 5 Pairs. 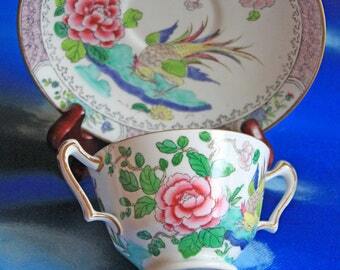 Antique Crown Staffordshire Rock Bird Porcelain Cream Soup Bowl with Saucer. Cup with Two Handles, Pattern Number 6390.